Smart assistants Alexa and Cortana from Amazon and Microsoft, respectively, will be able to talk to one another later this on Echo and Windows 10 devices, Amazon announced Wednesday. By integrating with Cortana, Alexa users can call on Echo devices to tap into Office 365 features, such as reading email, accessing work calendars and booking meetings. In turn, Cortana users can employ Alexa to shop on Amazon and use the extensive skills library from third-party developers. Microsoft CEO Satya Nadella said the partnership will help the company achieve one of its main priorities, which is to allow customers to access Cortana "everywhere and across any device," according to the announcement. Jeff Bezos, Amazon founder and CEO, said it also works to bring intelligent assistants together, which each have different skills and data that can compliment one another. The Pacific Northwest-centric deal brings the two enterprise giants together in one device. While the move is geared toward consumers, it also has deep ties in the enterprise and could set the stage for future deals. The Cortana and Alexa smart assistants inherently serve two different purposes and markets. Alexa caters toward Amazon products, allowing users to shop through the e-commerce giant and interact with applications across its third-party ecosystem. Cortana, however, is available on Windows 10 devices as a virtual assistant for more formal applications. 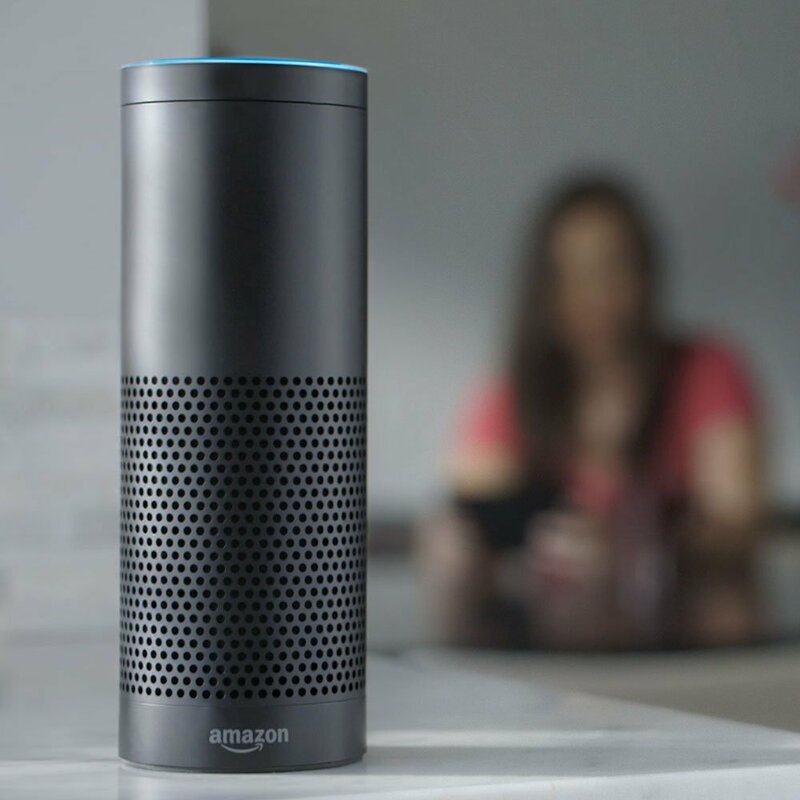 Introduced in 2014, Amazon Echos are now in more than 10 million homes in the U.S., according to a May analysis from Consumer Intelligence Research Partners. Though reception is positive and adoption has steadily risen, Alexa's market penetration pales in comparison to that of Windows 10. In May, Windows 10 passed 500 million monthly active devices with Cortana built in. For Amazon, this partnership formalizes the functions Alexa can do. It's no longer just about shopping and checking the weather but also tapping into work email and booking meetings. And for Microsoft, Cortana will now be available on more smart-home focused devices. Though Microsoft is partnering with Samsung-owned Harman Kardo on the "Invoke" smart home speaker, this device is not set to debut until later this fall. More collaborations may be on the horizon, particularly because Amazon is actively trying to grow its enterprise presence and is reportedly working on a service for business collaboration and productivity. Microsoft currently dominates the enterprise software space, something that AWS could potentially tap into to boost its presence. Whether the companies remain harmonious is yet to be determined, especially as Microsoft continues to grow its presence in the cloud and challenge AWS' market share.